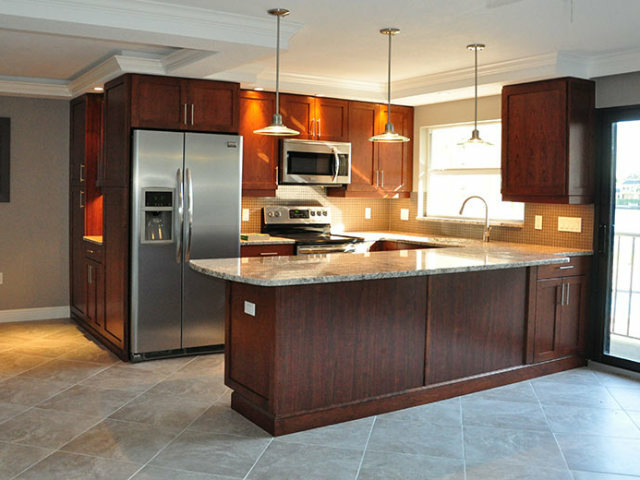 To bring this property back to life, we went in and started from scratch. 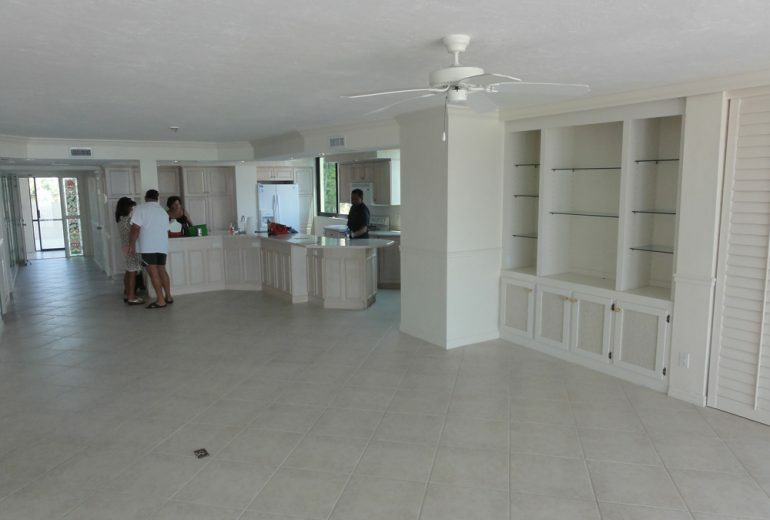 We tore down walls, removed flooring, cabinets, counters, fixtures and everything in between. 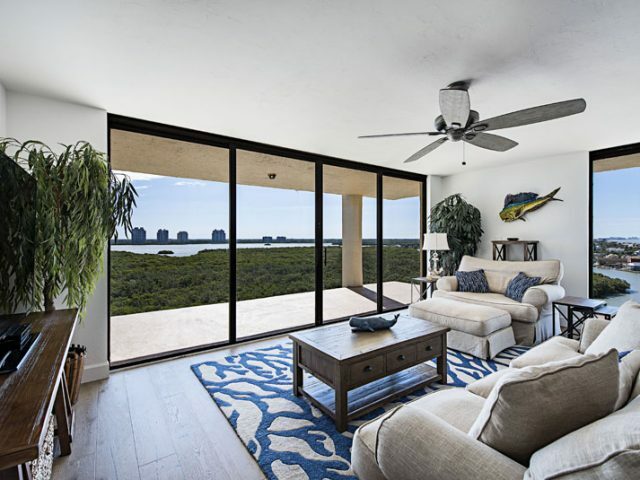 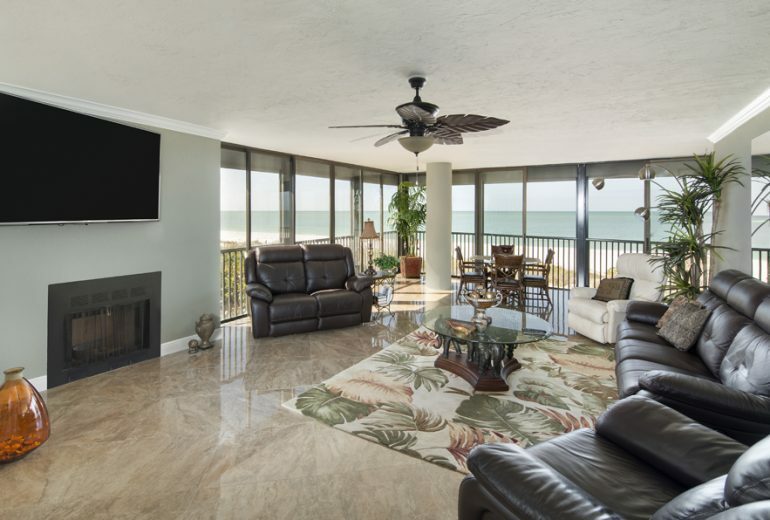 We reconfigured walls to give the condo a well-deserved more modern open floor plan; replaced the flooring with porcelain tile that looked like polished marble; and opened up the back lanai for a better view. 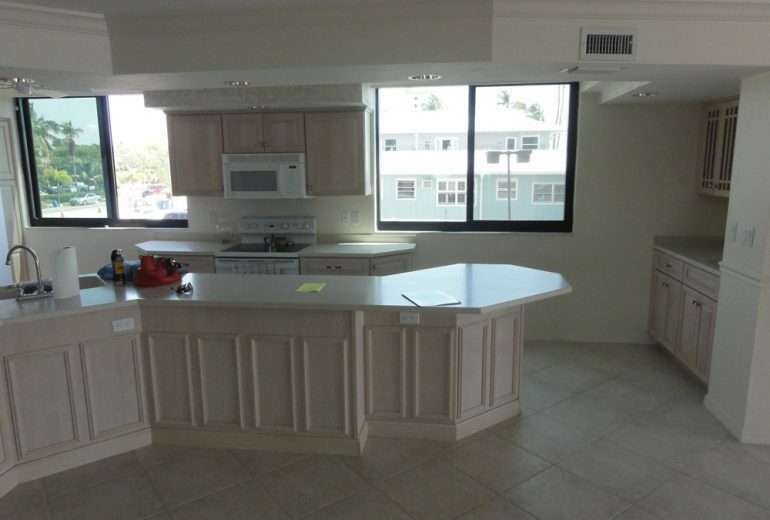 The kitchen layout was changed to create an open view of the gulf — which it did not have previously. 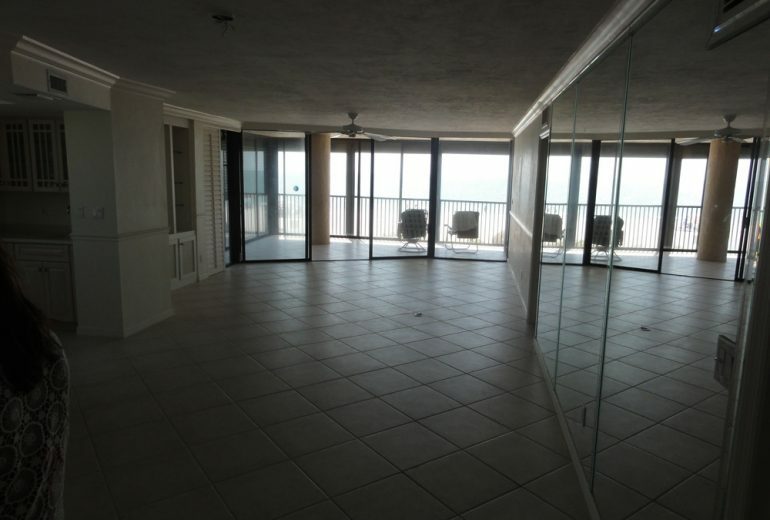 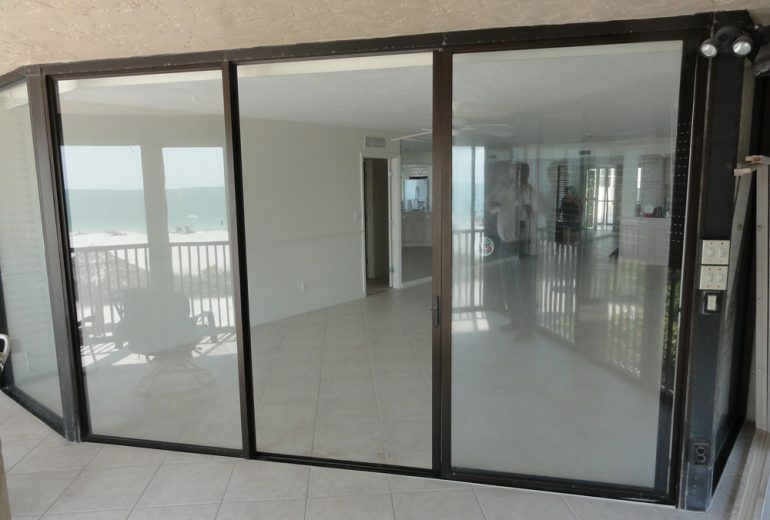 We wanted the owners to be able to enjoy views of the Gulf of Mexico while enjoying their coffee in the morning. 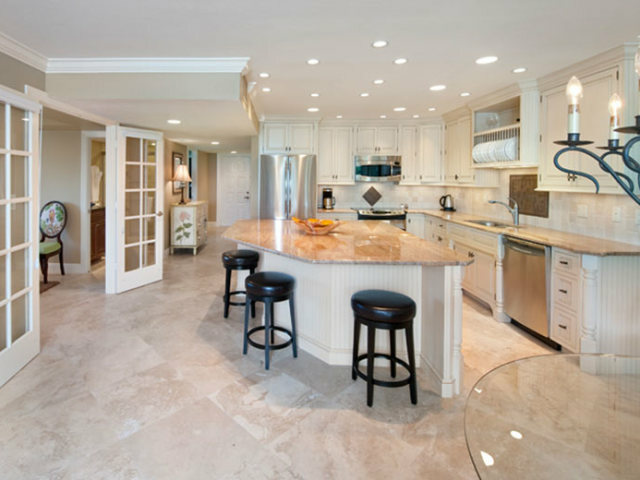 This was done by changing the location of the kitchen island. 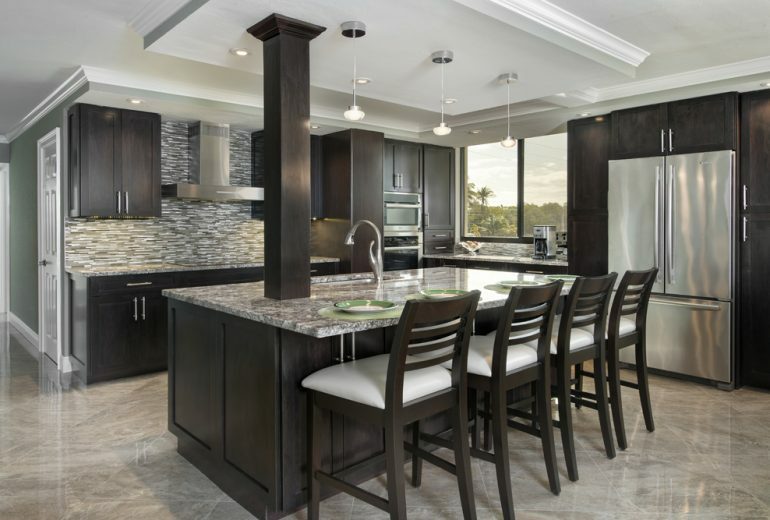 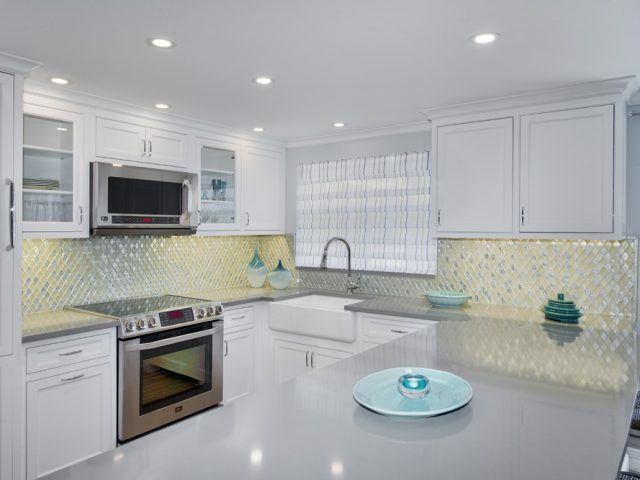 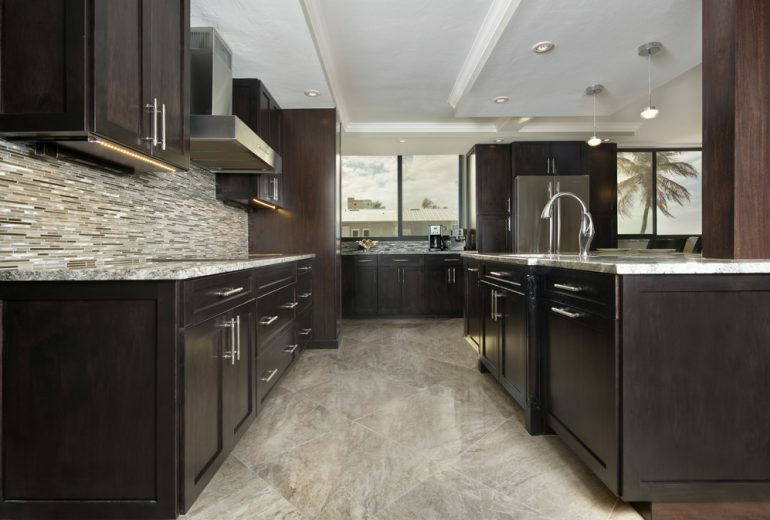 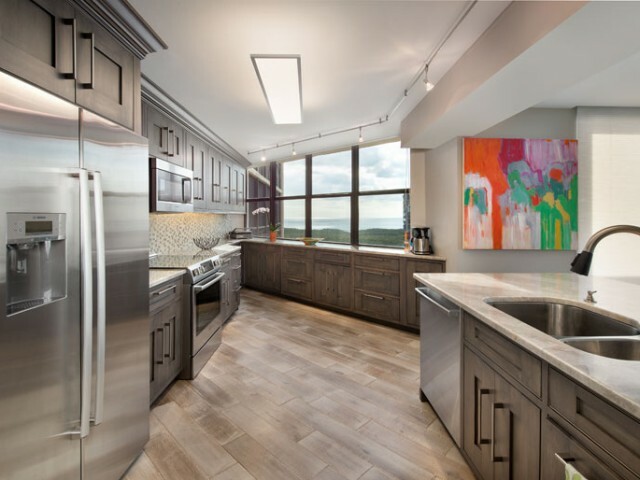 Completing the contemporary look, we installed wooden shaker cabinets and granite countertops. 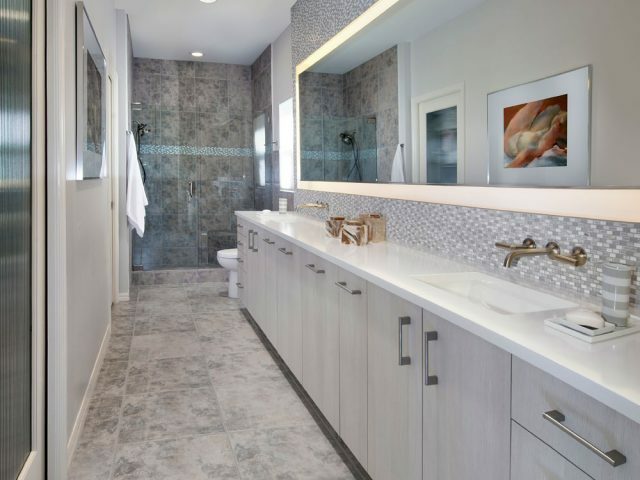 The three bathrooms were completely redone using pebble tile and onyx showers. 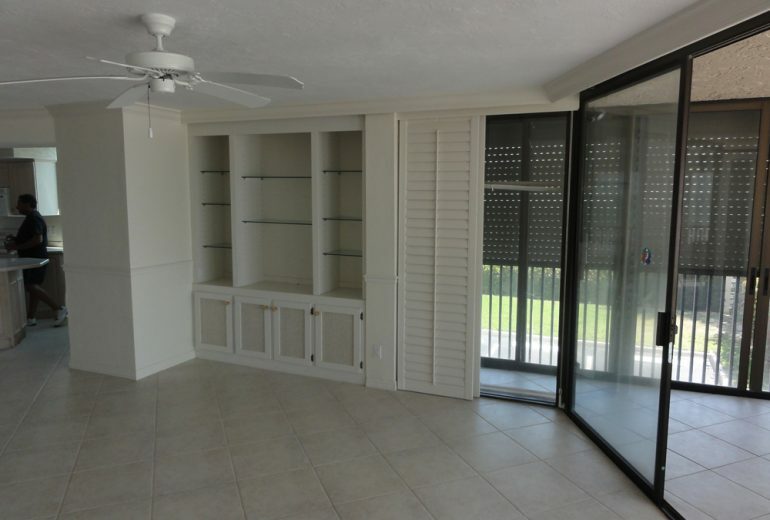 Each one was enlarged to maximize the space. 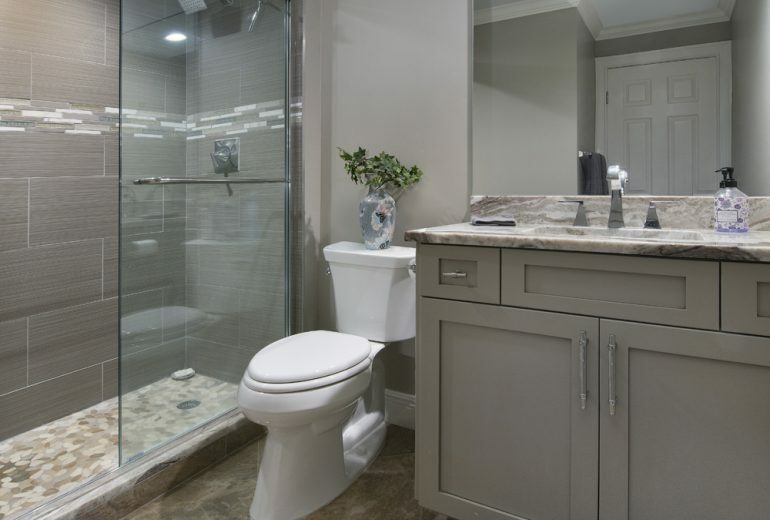 In the master suite, we removed the tub and turned it into a large walk-in shower and turned a very small shower into a floor to ceiling cabinet for linens. 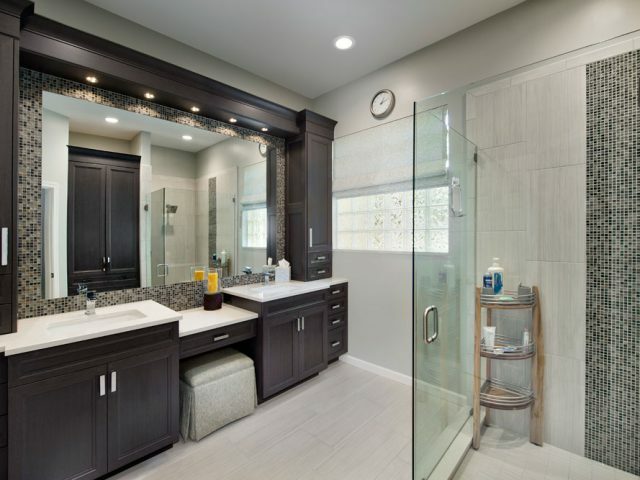 In the guest bath, we removed the tub and converted the space into a shower with a frameless glass door. 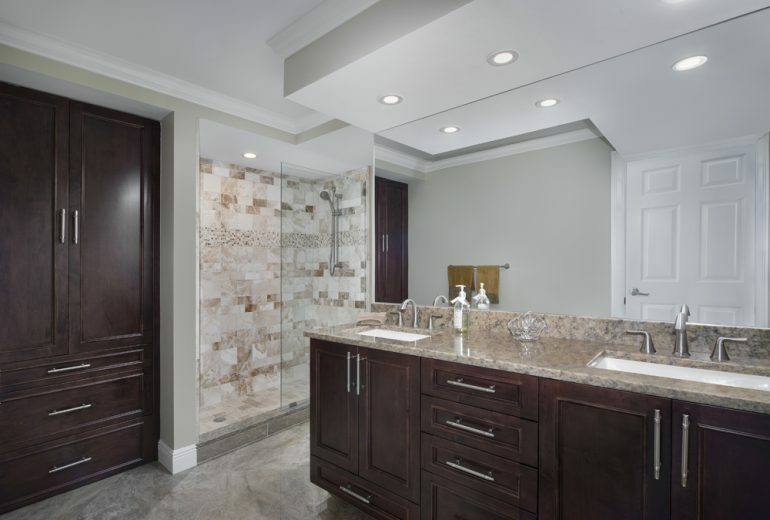 We railed the drop ceiling with crown moldinggiving the bath a much larger feel.